Find the Sno Biz contact in your state or the Sno Biz Distributor in your country (international). Fill out and submit the contact form. Ask your Sno Biz Contact for details, pricing and ordering information. Decide on your sales vehicle: Is it a store, a cart, a hut, a trailer? Open for business and discover your Sno Biz profit potential! Sno Biz lets you be your own boss and to love what you do! 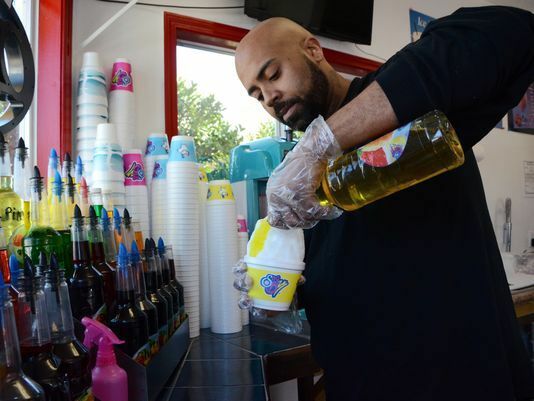 Our turnkey support system and full product line (including Shave Ice Treats, Ice Blended Coffees, Smoothies, Shakes and Cotton Candy) works similar to franchises, but without the fees and royalties in the USA. Sno Biz dealers join an established and broad distribution system with access to training and marketing support. What is your primary interest in Sno Biz? How much business capital do you have to invest? What experience do you have owning/operating a small business? Do you want to be involved in a day-to-day retail business? 3 factors that will influence your choice of business opportunity?